LancomeTeint Idole Ultra Liquid 24H Longwear SPF 15 Foundation, 1 oz. 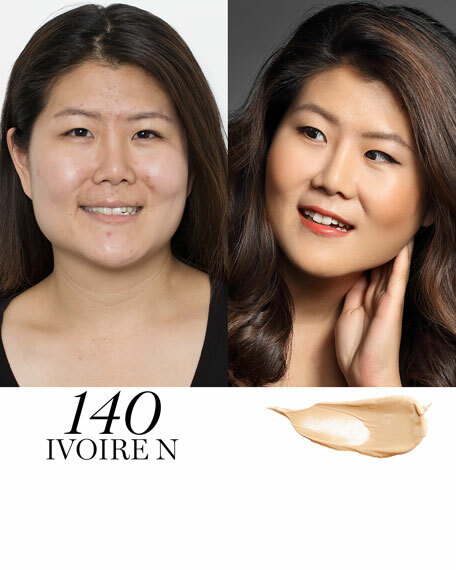 For those long days, this foundation gives you the full coverage, comfortable long wear you need. Its innovative EternalSoft technology keeps the complexion looking flawless and even for up to 24 hours, with a breathable, non-greasy texture that doesn't cake or crease. Redness, pores, and imperfections visibly disappear, evening the skintone and leaving a mattified-yet-natural result. Formulated with color-true NAI pigments, it maintains your skin's pH level so that color stays put for all day, transfer-resistant coverage. Plus, it's infused with perlite and silica, absorbing oil for a shine-free wear. 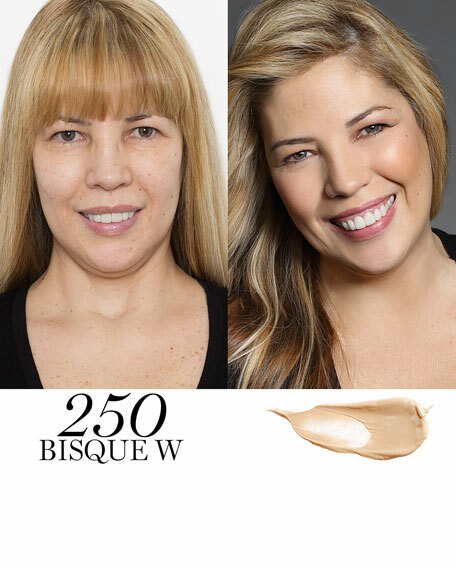 Step 1: Prep your foundation for longer wear with: La Base Pro Perfecting Makeup Primer for a smooth, long-lasting makeup effect or La Base Pro Pore Eraser for a mattified complexion that minimizes the appearance of pores. Step 2: Apply Teint Idole Ultra Wear foundation with a brush, makeup sponge, or your fingers. When using a foundation brush, lightly feather the product, starting where there is the most discoloration and blending outward. Or, apply using fingers, blending with a cross-hatch pattern starting where there is the most discoloration and blending outwards. To add a bit of dewy glow, add a drop of Advanced Génifique Concentrate to your foundation. Set with Dual FInish Powder for a more mattified result. Step 3: To spot-conceal, use Effacernes Waterproof Protective Undereye Concealer for creamy, long-wearing, crease-resistant extra coverage, where needed. 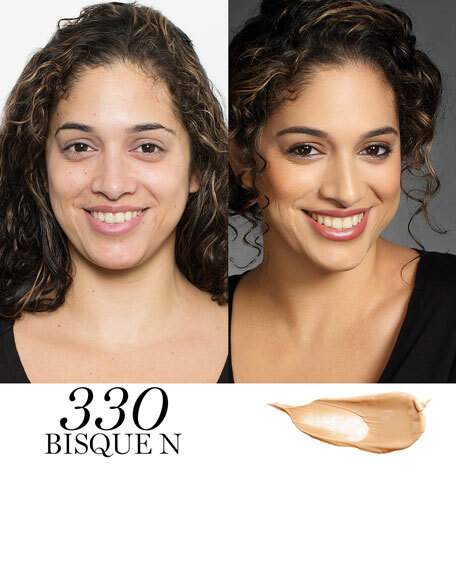 For a more radiant result, try Maquicomplet Complete Coverage Concealer. Step 4: Finish with Blush Subtil for a pop of cheek color and one of Lancôme's award-winning mascaras for an effortless look that lasts all day. For in-store inquiries, use sku #181065.